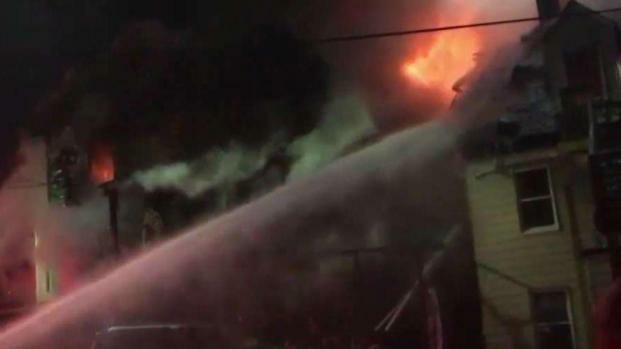 Crews in Massachusetts battled a massive fire at a multi-family home that spread to two other multi-family homes, leaving 25 people homeless on Thanksgiving night. Lowell fire officials say two homes are a total loss, while a third one was moderately damaged in the fires that started on Arthur Street and then spread to nearby Shaw Street after burning embers were picked up by winds and landed on the buildings. "It appears as if the fire may have started in the back of one house and just spread to the other house," Lowell Fire Chief Jeff Winward said. A firefighter was treated for smoke inhalation, but is expected to recover. Frozen hydrants and slip and falls were also issues for responding firefighters, officials said. 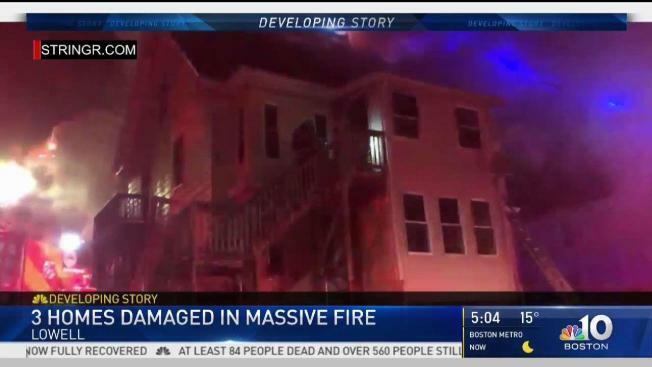 Two homes are considered a complete loss and another suffered moderate damage in massive blaze in Lowell, Mass. Red Cross staff responded to the scene along with State Fire Marshal officials. 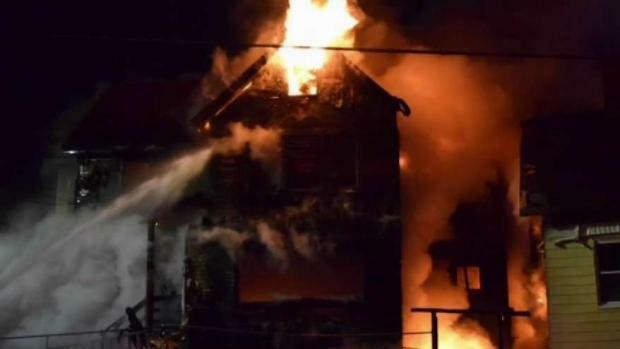 Twenty-five people were displaced by the fire, and a dog is missing, according to officials. A woman told NBC10 Boston she was getting ready to go to her fiance's house for Thanksgiving dinner when she had to run out of her home to escape the fire. "While I was in the bath, I heard all this commotion going on. I ran out of the bath tub with no clothes, unfortunately soaking wet. I run to look out the window, sirens and fire trucks," Easter Thomas said, who managed to safely escape. It's unclear how the fire started, and the investigation into the blaze is ongoing. NBC10 Boston's Chris Gloninger reported winds were gusting at more than 20 mph at the time the fire broke out, causing frigid temperatures in the teens to drop to single digits and making conditions tough for firefighting. According to data from the National Fire Protection Association, there are more in-home fires during the holiday season than at any other time of the year, and Thanksgiving is the single worst day for fires.